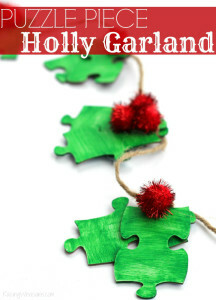 My name is Christie and I’m addicted to anything that starts with “GAR” and ends in “LAND.” I can’t believe that I’ve gone through almost half of December already without doing a Christmas craft. There must be something wrong with me. Oh, I’m sick. Being sick today meant we were pulling out the craft supplies to occupy a 3-year old. I came across felt and clothespins – BINGO. Christmas trees. 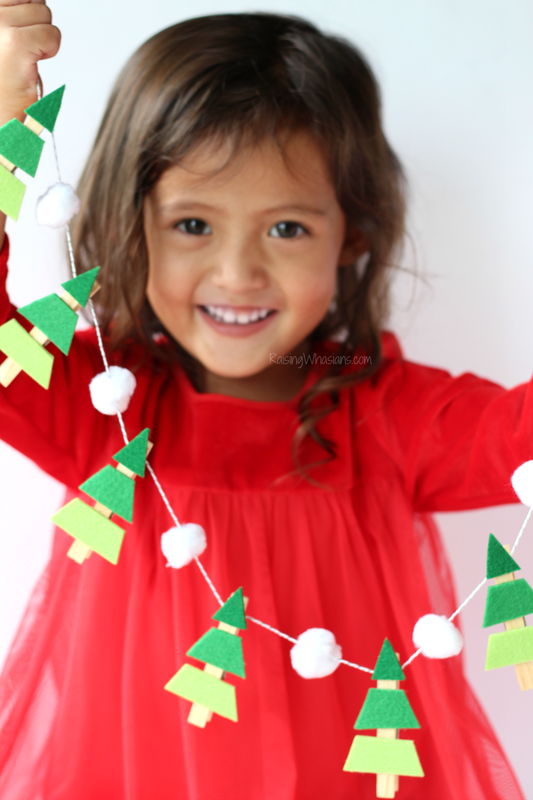 And a few minutes later, we created this adorable Ombre Christmas Tree Garland. You know you want to make this cuteness to hang from your mantel, your child’s room, or anywhere where you could use some Christmas cheer. 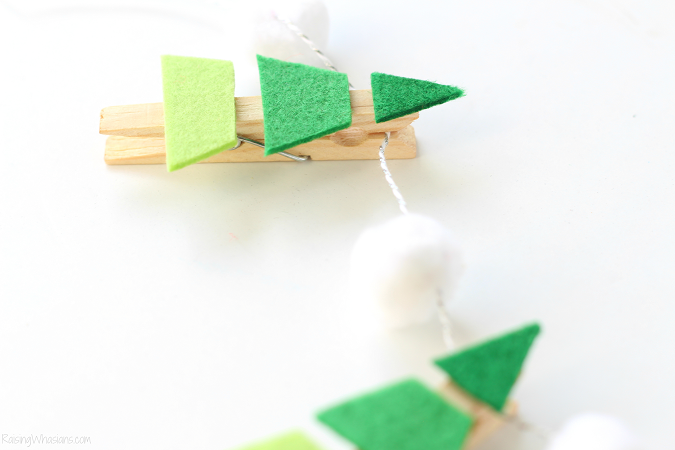 Ready to make this toddler approved craft? Turn up the Christmas tunes. 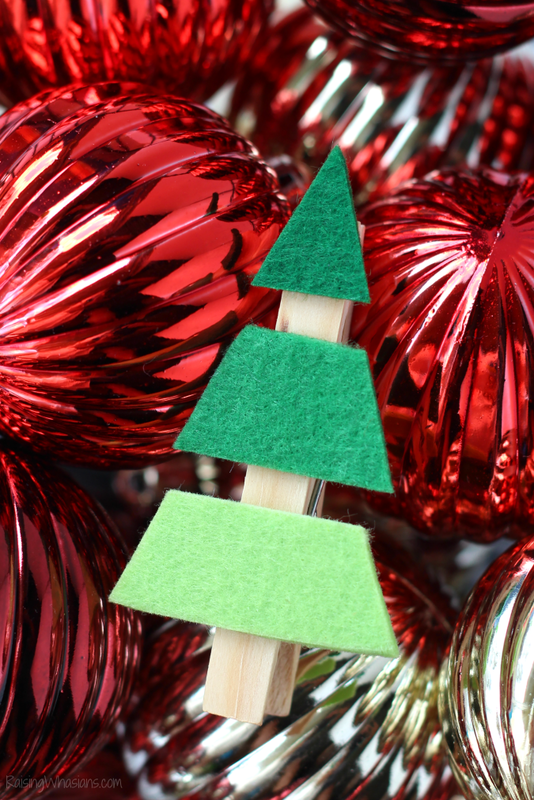 You are minutes away from so much Christmas tree cuteness. I love how some crafts come together, maybe it’s sickness delirium…but I don’t care. It’s so adorable. You only need a few supplies for this craft (hey, we already had everything at home). Plus, it’s so easy a toddler can practically do it. Start by stacking the felt on top of each other, leaving an inch or so room between each sheet. Trace out a triangle, like as shown above. 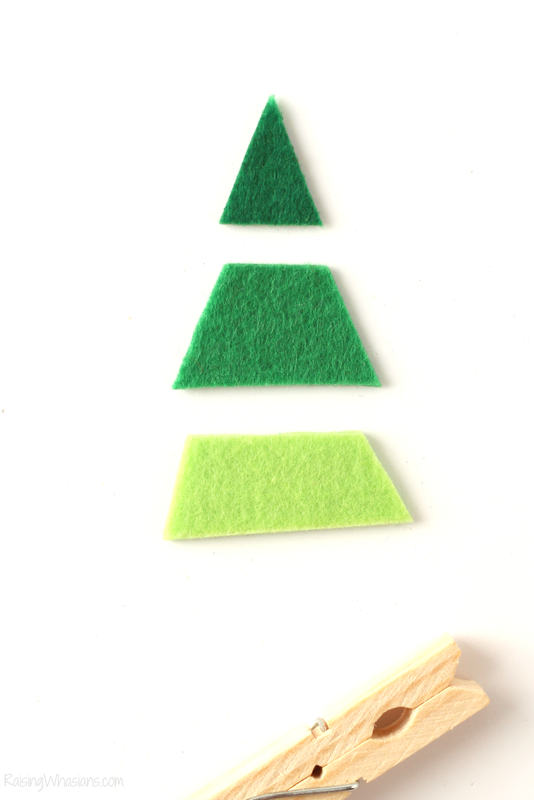 Cut out the pieces to use as templates (I used dark green for the top triangle, lighter green for a medium trapezoid – perfect toddler teaching moment, and lightest green for biggest trapezoid). 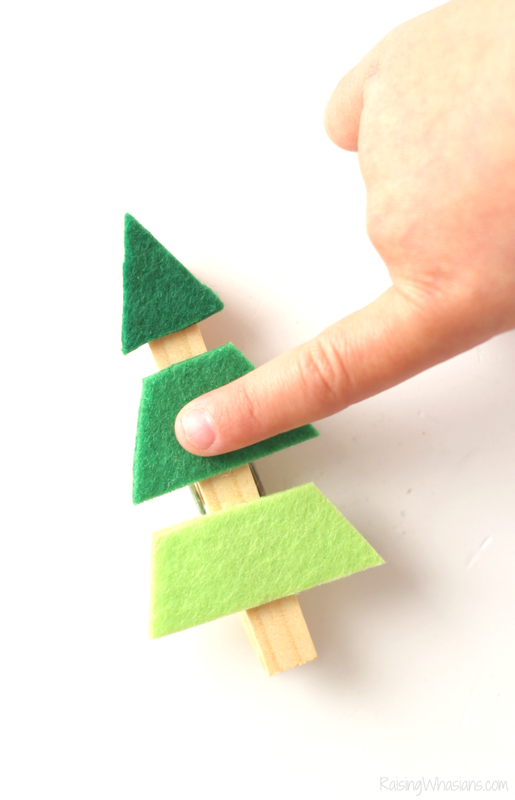 Then cut out the remaining felt to make as many Christmas trees as desired. 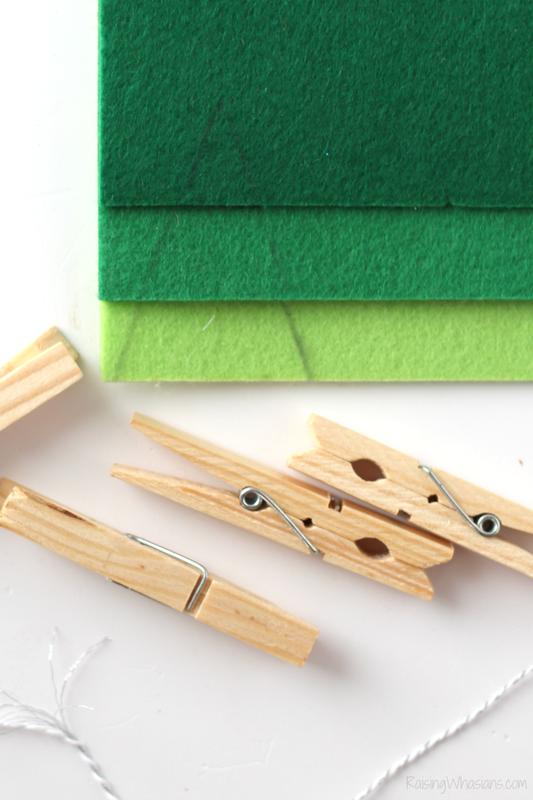 Glue felt pieces onto the tops clothespin – top at the opening and bottom towards the pinching area (still allowing the pin to open and close). Allow to dry. You can stop right here and enjoy these little trees. So festive! They would make great craft toppers to your presents (plus a fun keepsake from your toddler). But you know me, I can’t stop there. G-A-R-L-A-N-D land is calling. Thread the needle with string. Poke the string through the middles of all of the pom poms. Spread out in equal increments. 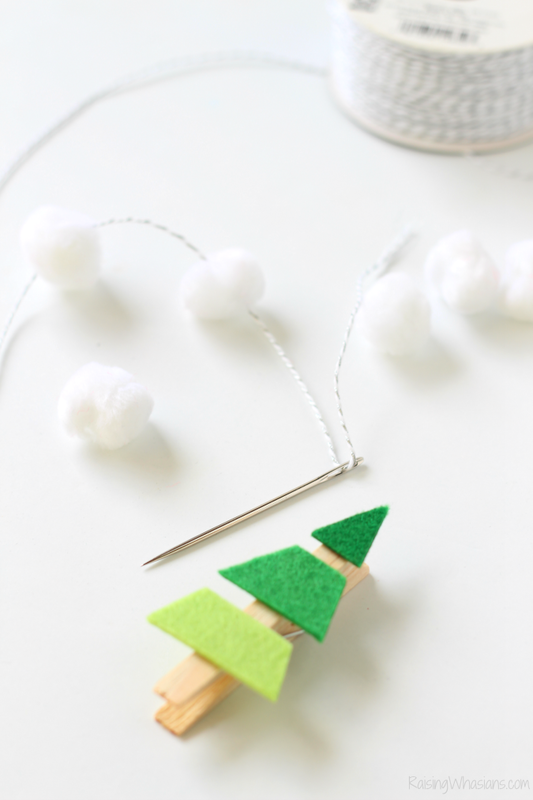 Now hang Christmas trees onto the string by the clothespin, in between each pom pom. Sick day turned Christmas crafty moment, can’t beat that. Another garland addiction satisfied too. 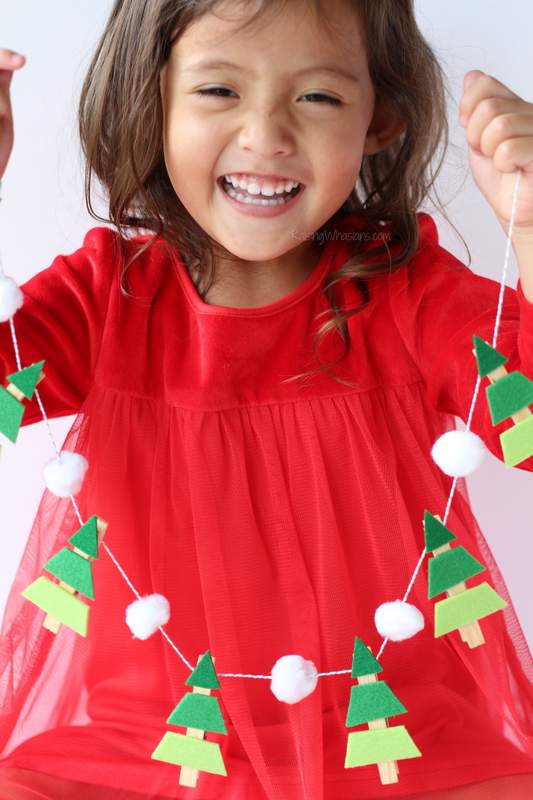 Ah yes, Christmas kids crafts, we didn’t forget! Make sure to “share” the Christmas cheer this season with someone that could use a good kid-approved craft (especially on a sick day). Wishing you and your family a Merry Christmas season! Where would you hang this Ombre Christmas Tree Garland? Be sure to follow Raising Whasians via Facebook, Twitter, Google, Instagram, Pinterest and YouTube for adorable kids craft ideas, easy family recipes, travel tips and more. 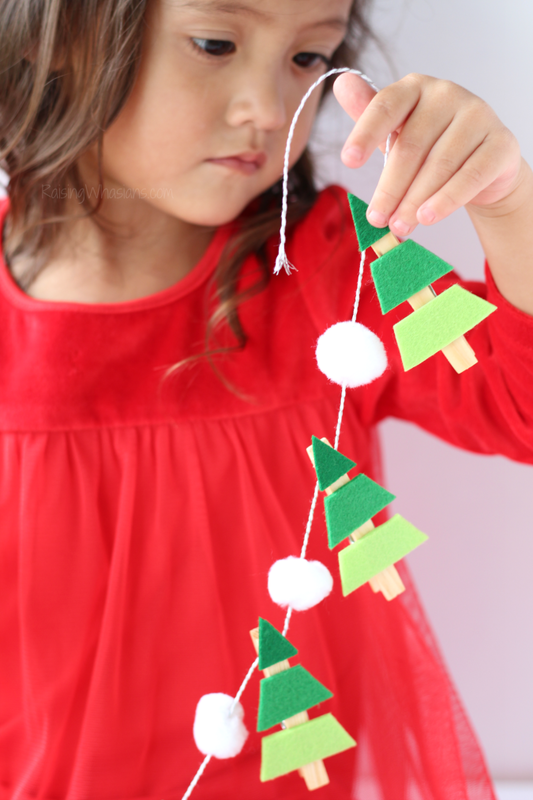 Love this easy Christmas craft idea? Be sure to grab these other popular favorites! Omgosh this turned out adorable!! I love it!! Super easy too!! 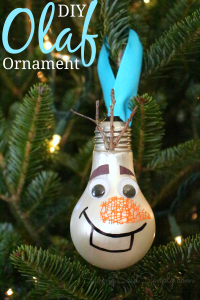 Thanks for the tutorial- this would be the perfect festive touch for the kids’ room! 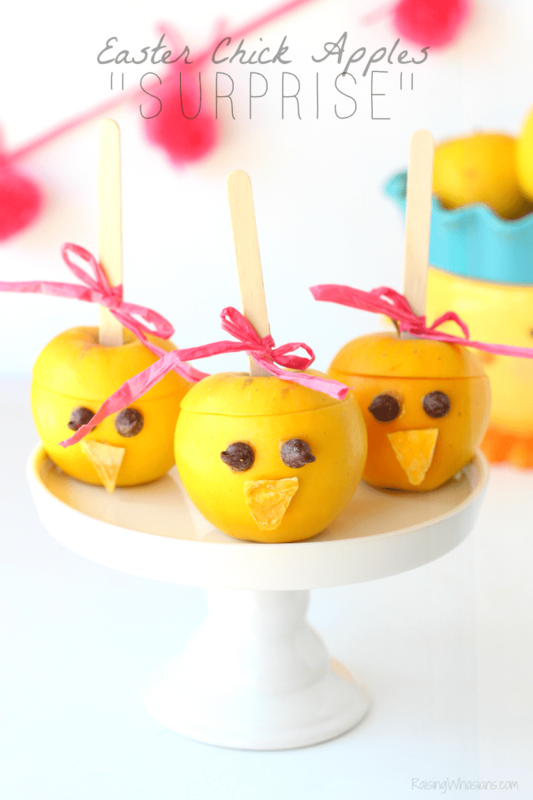 That is really cute and very easy for crafting with kids. Now that school is out this would be fun to do and would let them make something to put on the tree. These are so cute. My grandson would love making these for the tree. They would make some really cute refrigerator magnets too. I LOVE this craft! 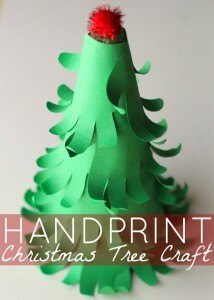 What a fun and chic christmas activity! And of course I can’t get enough of your sweet kiddos! This is lovely. 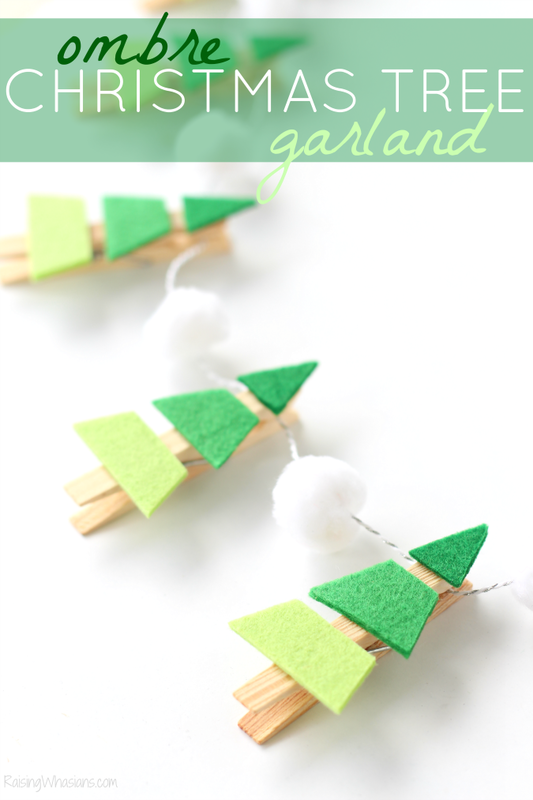 I wonder if I could make the trees “upside-down”, and then use the clothespin to hang holiday cards? Going to have to try! Thanks for a beautiful craft! I am going to try this with my kids at my daycare.